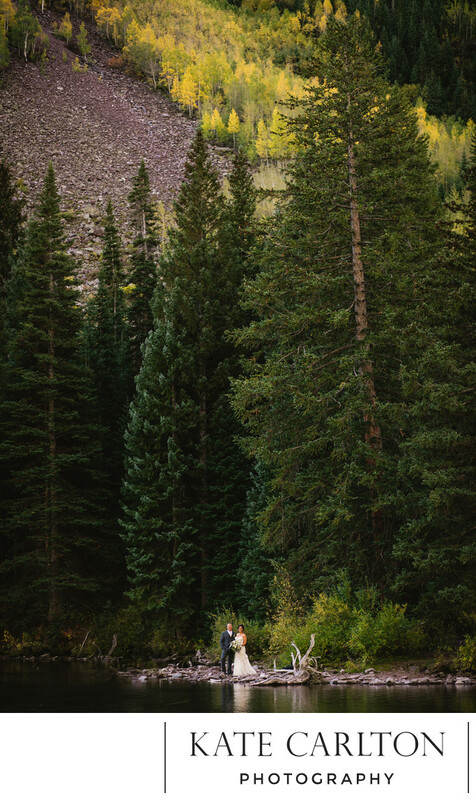 Aspen has some of the most beautiful locations in The United States if you want to run away and get married. Sarah and Tim planned a Colorado Elopement from their home in Kansas City and it could not have been more perfect for them. 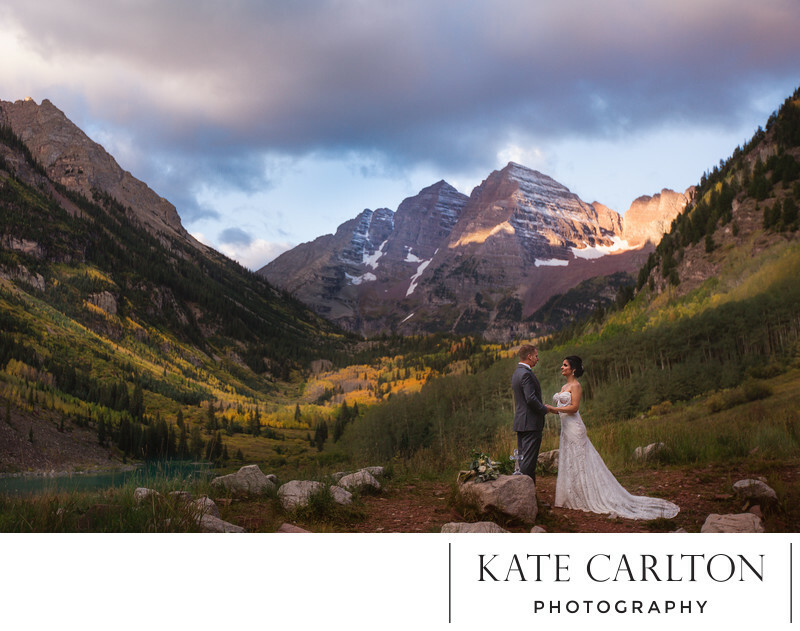 They got ready at the St. Regis Hotel in Aspen and we drove just before sunrise to Maroon Bells for them to say their vows just between the two of them. We timed it perfectly to experience the alpenglow on Maroon Bells Peak in the Elk Mountain Range. By eloping they got to focus on each other and what they want their marriage to be without having to plan a big wedding. But they still planned it all out. We went to a small amphitheater for their vows and then they put on a special song for their first dance! It was stunning and so sweet. There is so much love between them. After their first dance they cut their aspen bark looking wedding cake. Their week long adventure got to start with them devoting the rest of their lives to each other and we got to hike around in the most beautiful lace wedding dress and stunning mens suit. They got so many compliments from the early hikers. It was just great. The weather could not have been better, it was a crisp fall morning but the sky was blue, the aspens were yellow and the sun was warm. We spend about 3 hours there hiking, having fun, telling stories about how they met and fell in love and taking amazing portraits. In this image on Maroon Lake the two newly weds adventured over a small river and around a bend to get to the other side of the main path. Goodness, I love when couples have to go an extra step for amazing wedding portraits. Location: Maroon Bells, Colorado 81654.